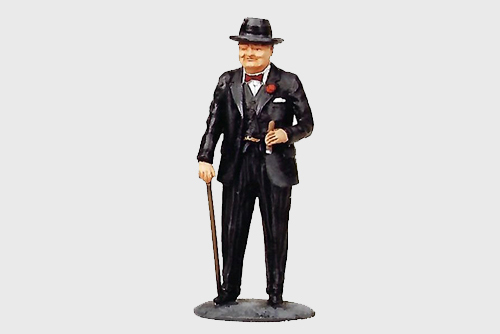 Whenever a vote is taken to decide the ‘Greatest Britain’, Sir Winston Churchill tops the list. 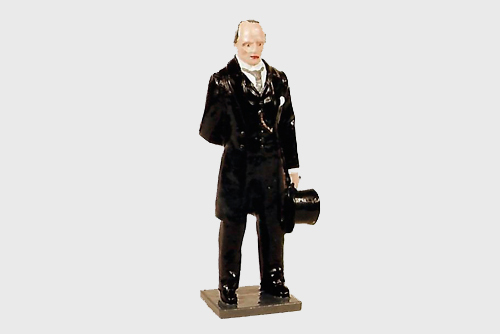 Some would say that he was not the finest politician of his age, perhaps not prior to World War Two, or after it, however had he not been there during the darkest days this Isle has ever faced, how different things might have been? 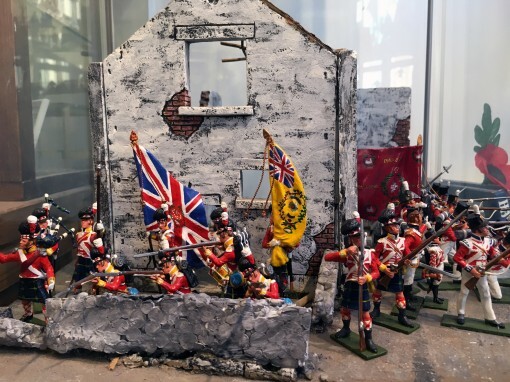 Indeed, a case can be made that had he been listened to more carefully by his and other European countries leaders in the build up to the war the conflict may well have been avoided. 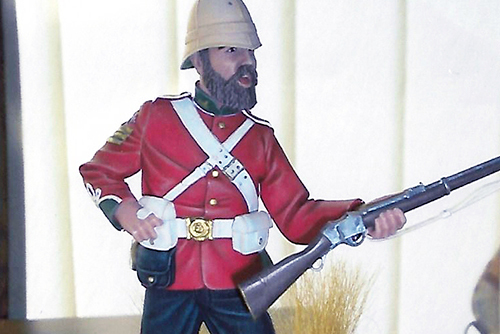 But, when the war clouds came, Britain turned to this cigar smoking, whisky drinking ‘not so young man’, and he never failed his country. 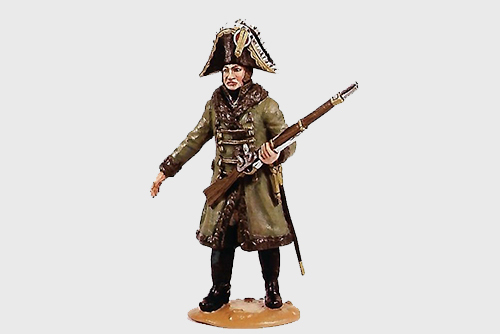 And the British, despite his many faults, have never forgotten him. 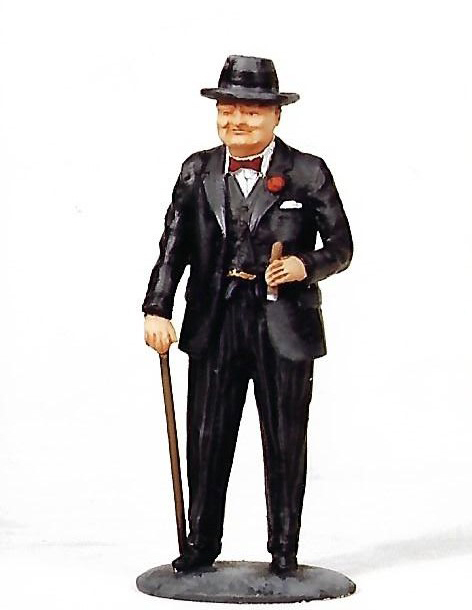 The model figure representing Sir Winston is a solid metal 54mm casting. 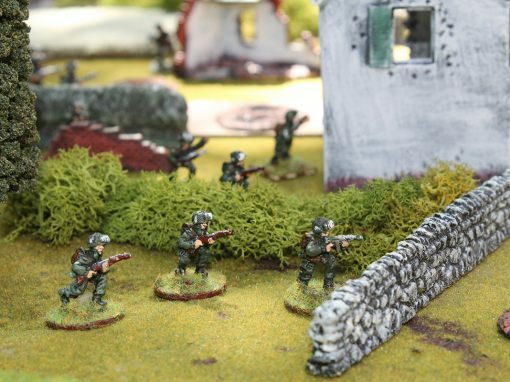 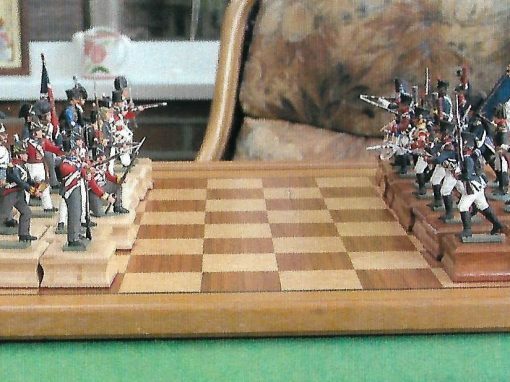 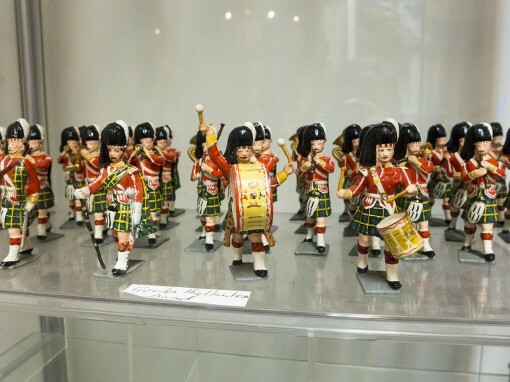 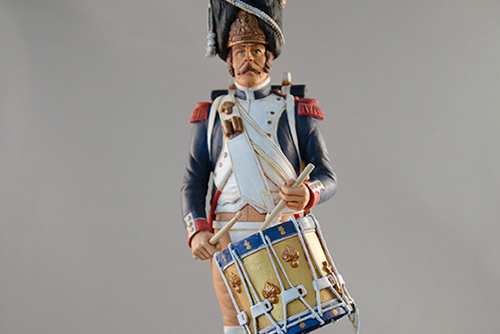 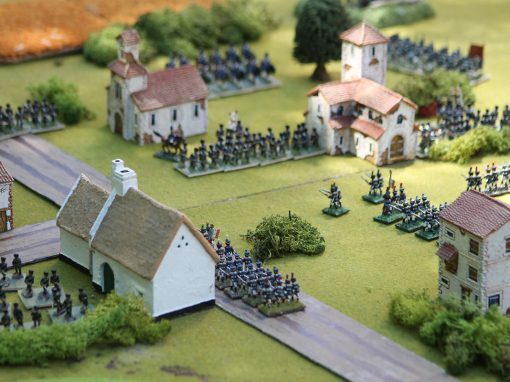 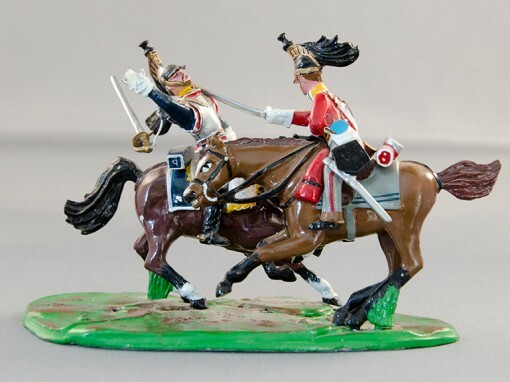 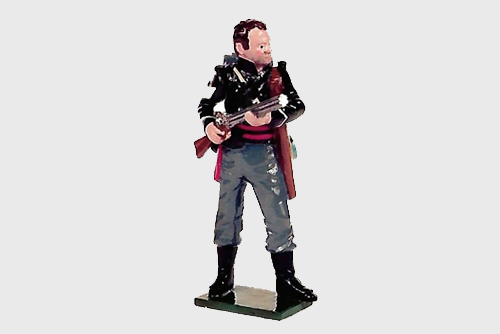 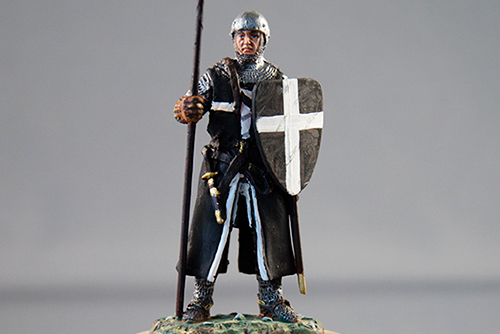 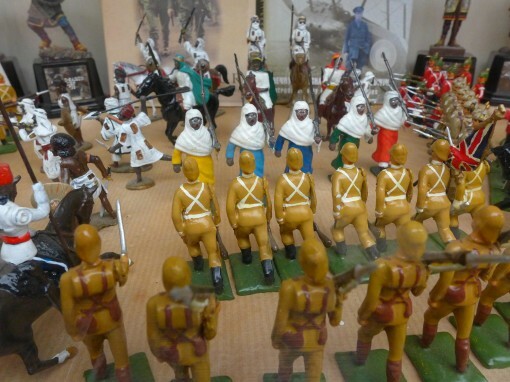 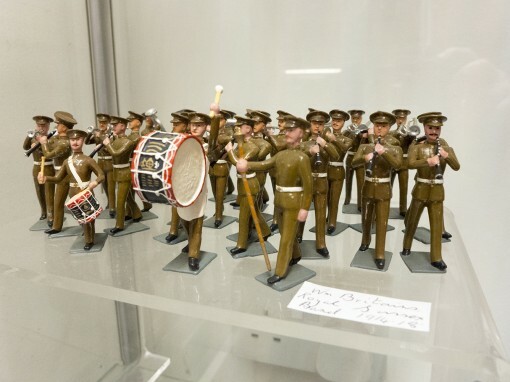 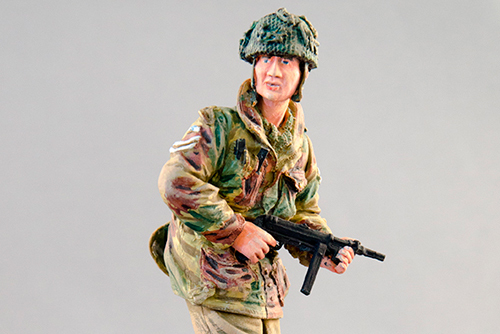 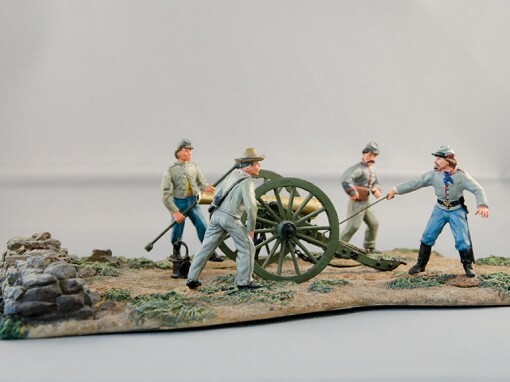 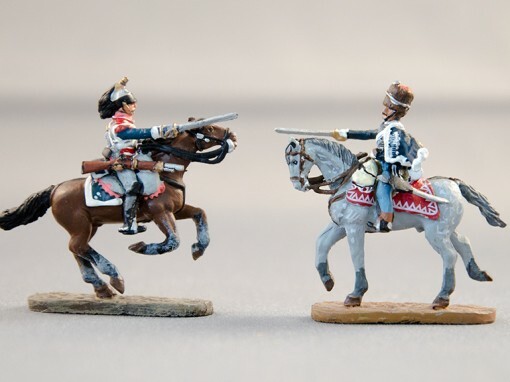 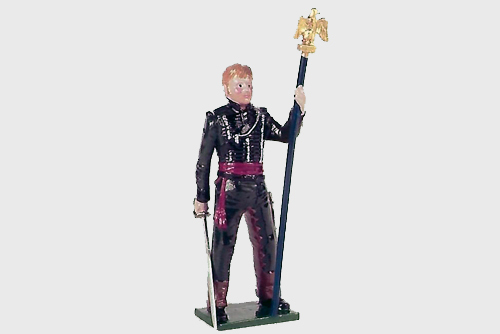 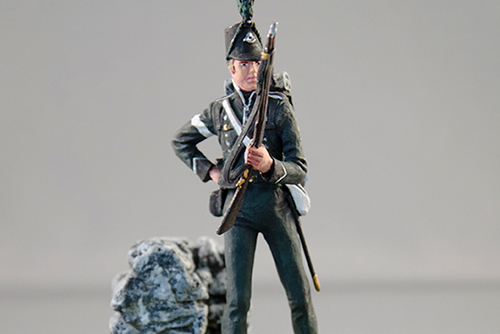 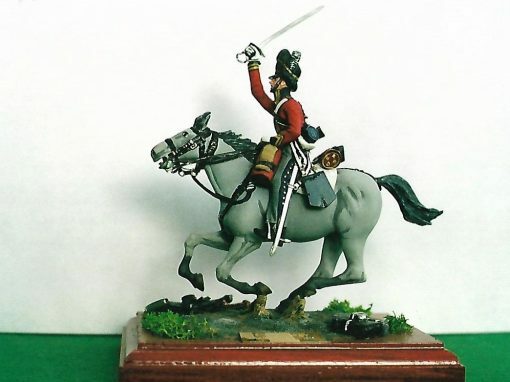 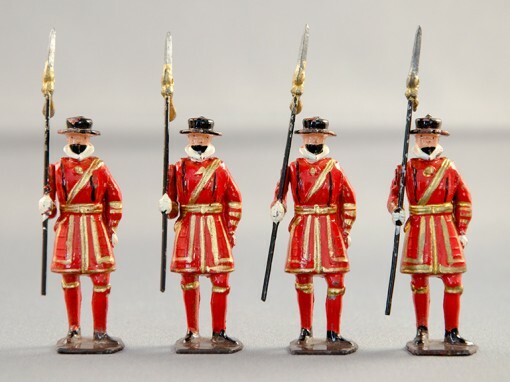 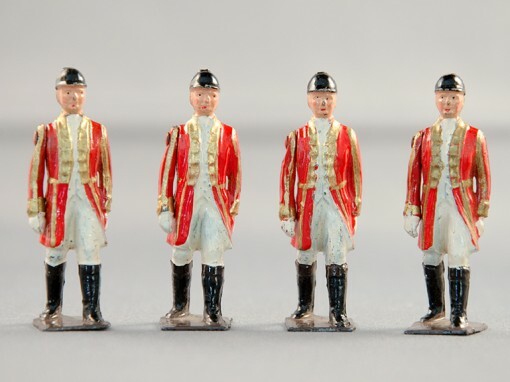 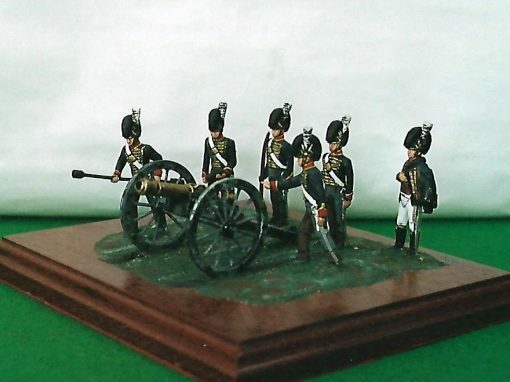 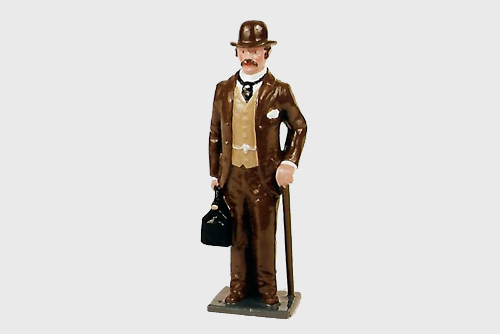 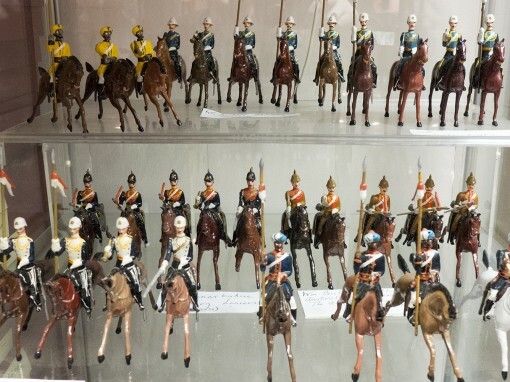 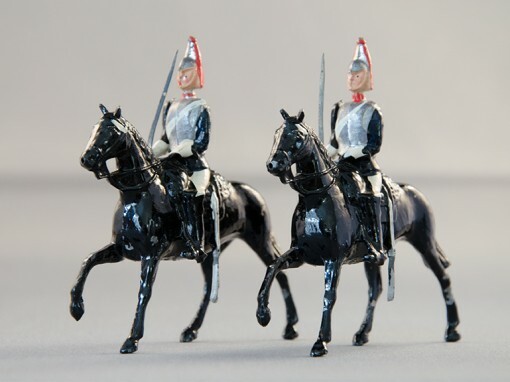 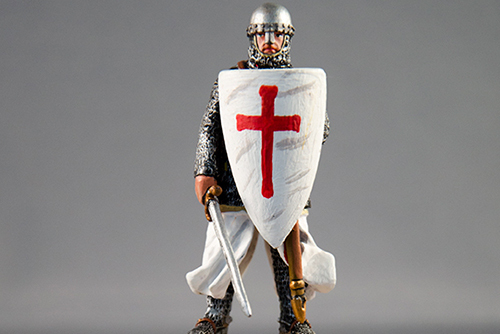 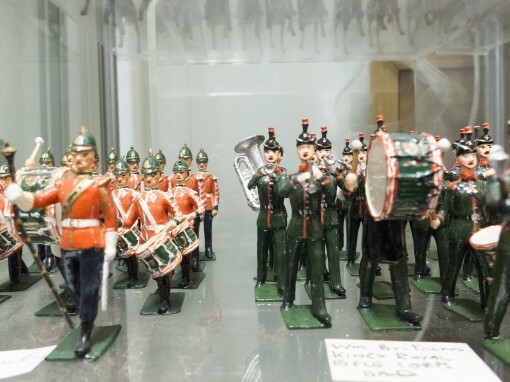 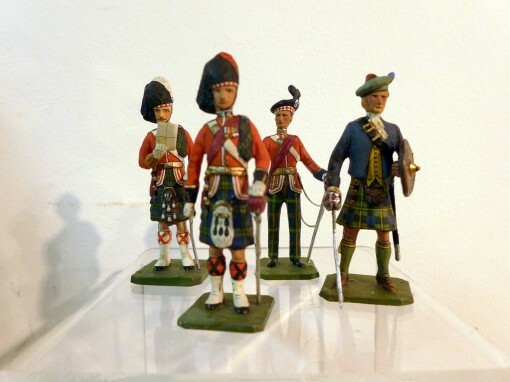 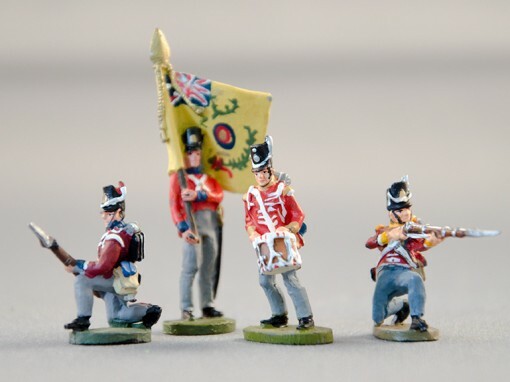 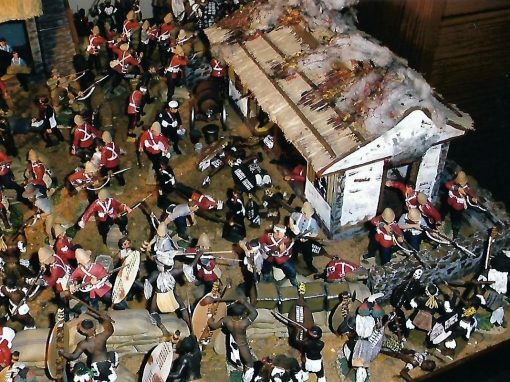 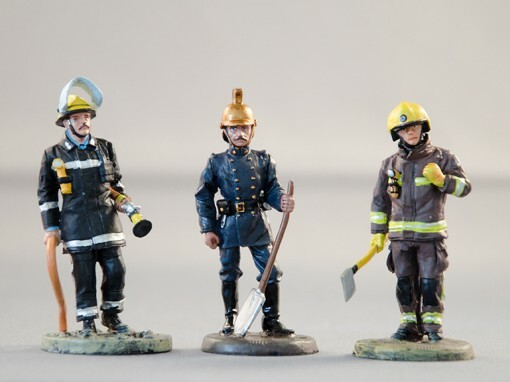 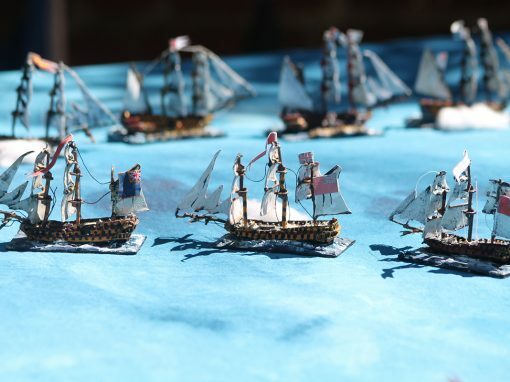 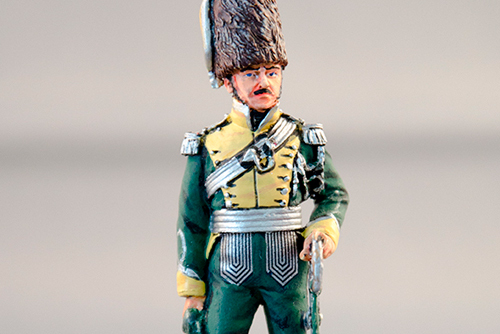 It can be painted in High Gloss Toy Soldier Style,(illustrated), or as a Matt Collectors piece, with a polished wood display base as an optional extra. 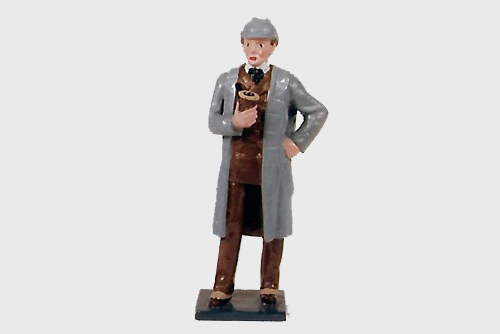 The figurine is one of the most popular provided by Soldiers of Rye. 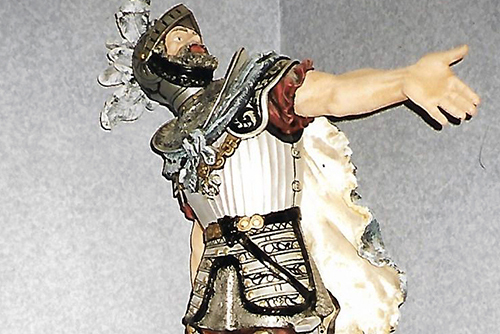 Price: £12.50 glossy, £30.00 connoisseur.